You’ve posted regularly on your personal Instagram account and used hashtags to keep followers engaged, but when it comes to your business how do you take it to the next level? You need an Instagram marketing campaign to have an effect. Instagram has the biggest engagement of all other social media platforms, so you have this active audience right in front of you. How to get to them, manage them and retain them are a different set of questions altogether. 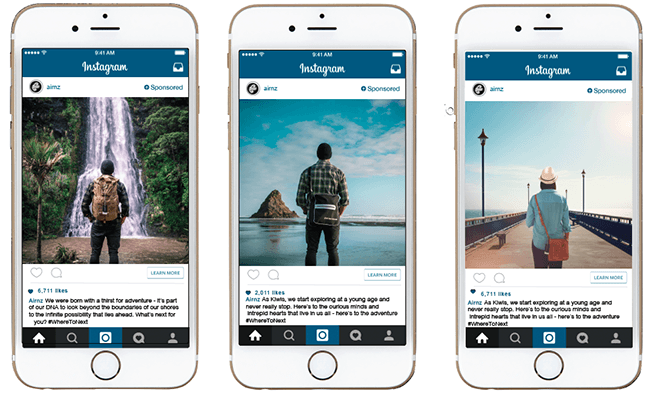 An Instagram advertising campaign involves a business having a marketing objective on Instagram and achieving it. The objective can be more general in the sense that it focuses on increasing brand awareness, or it can be more specific, to increase sales for your new product. The goal for most businesses is to generate interest and a ton of it. Oftentimes, the most effective way to do it is to share creative and awesome content. First, you need to set a goal for your Instagram marketing campaign. Plan the campaign in order to make it a success. Be super specific about the goal. You should eventually look at numbers which means if you want to promote your product, for instance, how many units do you plan to sell? Setting early goals gives you an overall marketing objective that will help you see results and help the bottom line of your business. Who is your Instagram audience? Research them well. Knowing who you are attempting to reach is just as vital as knowing your objectives. If you want to increase engagement then you need to create content that your audience will find useful and interesting. The more you understand your audience the better you can tailor your campaign to suit specific needs. Once you have your goal and plan in sight, you need to implement it. Most marketers get stuck in this very spot with the question of, how do I implement this? Have an organized roadmap. How long will the campaign run for? How many posts do you plan to publish? Is your content original? Or user generated? Come up with fun hashtags, do some research on popular hashtags and trends before picking one to go with your campaign. Use Instagram influencers to help you out. Work with influencers, it is a great way to promote your campaign. Identify influencers with big social media followings. These are the people you want on your side. There are influencers who are happy to give you some free promotion in trade of your product or service.